Our dedicated attorneys are prepared to review your case and offer quality representation. Every divorce is different, and it takes an experienced lawyer to understand the proper approach to a case. 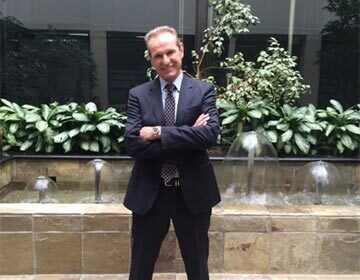 San Jose family law attorney Daniel Jensen has built a reputation as an aggressive and effective advocate for his clients. Our attorneys listen to your story and goals, whether need help with divorce, child custody or another family law issue. In addition to family law, Daniel Jensen and his team also offer criminal defense services in the Santa Clara area. Our attorneys have years of experience applying the law and creating personalized defense strategies for our clients. Whether you need representation for a divorce or an aggressive advocate to defend your name against the most serious criminal charges, you can count on the legal team at the Law Office of Daniel Jensen, P.C. to provide experienced, reliable legal counsel. "He was available over the phone" - Iona C.
"...helped me clarify (at no costs) all the issues I had with the previous document and the path forward which I greatly appreciate." "True delight to work with" - G.P. "He does not sugar coat anything; rather, he goes over the facts and the laws clearly and articulately and gets straight to the point."